Welcome to Golf in the Pocono Mountains! 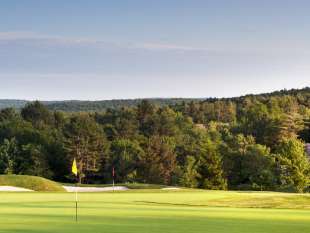 Just a 90-minute drive from New York City or Philadelphia, the Pocono Mountains is a golfer’s paradise. Numerous golf courses can be found here, from small private clubs and practice areas to sprawling resort systems designed by the greats. The varied landscape ensures plenty of challenges, and the scenery never disappoints. Our love for the sport dates back to the Golden Age of Golf Course Architecture, when legends Donald Ross and A.W. Tillinghast left their mark on the land. Since then, greats like Jack Nicklaus and Rocky Roquemore have built their own championship courses here. Golf getaways are greater in the Pocono Mountains, where you can play, stay, and celebrate in the spirit of the sport’s top competitors. Browse the listings below to get to know our golf courses, and plan your golf getaway today! Book with ease through our special Golf Packages, or plan a more personalized Pocono Mountains golf experience. Customized Golf Packages are built around your unique interests and group requirements. Request information in a few simple steps. 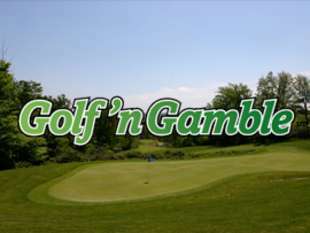 The game of a lifetime is waiting for you in the Pocono Mountains. Our 2019 Golf-A-Round Card is on sale for only $45! If you're looking for a getaway with friends, family or a group, we can build a package that fits your needs.